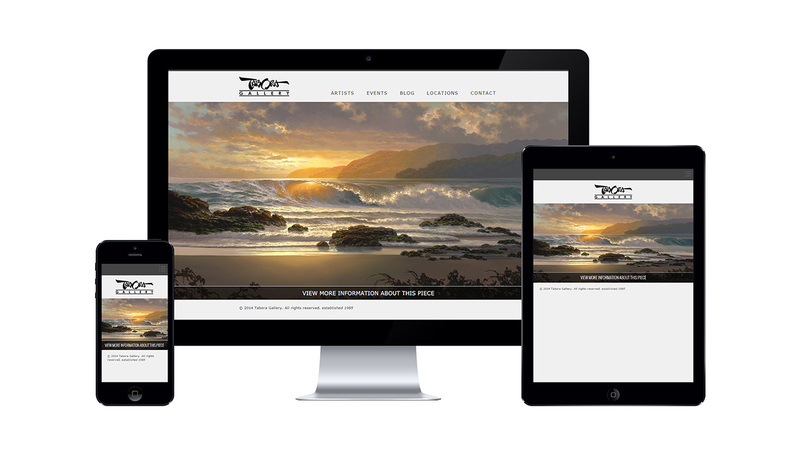 Tabora Gallery needed a new website to showcase their artists and sell artwork and products. The website needed to provide users with a way to browse of all the works available and even purchase from selected represented artists and be able to sell select products through the site. We created a web design and built a highly functional e-commerce system using fresh, clean interface, focusing on highlighting the artwork of the gallery. We customized the user experience design into the e-commerce system that provides users with the functionality to choose several options related to products and then preview sizes and frames before they purchase. Since the website launched, the site has become an online hub of promotion of products and artists represented by the gallery. 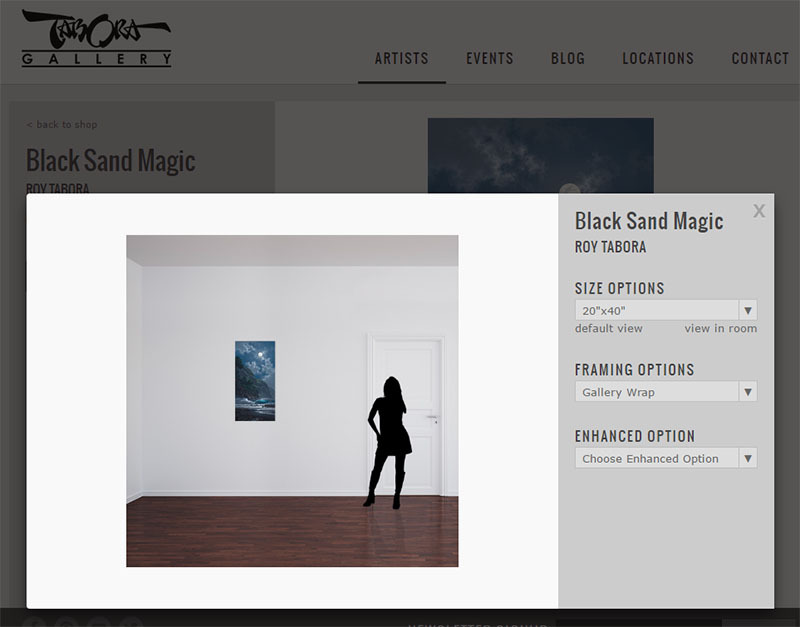 The site generates additional sales for the gallery and has become a convenient way for customers to browse works before they visit the gallery. Copyright 2016, Hypersperspective Studios, Inc.